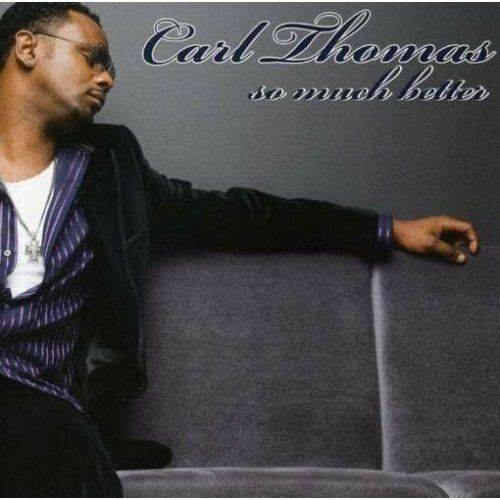 Rewind Review: Carl Thomas "So Much Better"
Released in 2007, “So Much Better”, opened Carl Thomas’s foray into a mid-tempo two step vibe. While this post is focusing on the underrated album, “So Much Better”, many would argue that Carl Thomas himself is underrated as an artist overall. 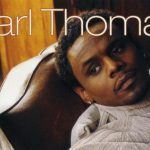 What always makes Carl Thomas stand out is that from his very first single he has mastered the way to allow a man express his feelings and show complete vulnerability while still making it clear that he is all man. That is a fine line to toe, and he always knows how to keep that crucial balance. The disc opens with the contagious, hand clap beat of “If I Could”. 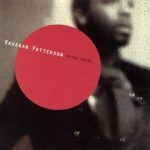 The cd is chock full of music for the Chicago style steppers, from “Another You” to the disc’s sole single “2 Pieces”. While he does delve into the stepper territory, Mr. Thomas has not forgotten the bedroom. “Thought You Should Know” features Lalah Hathaway. Don’t worry, Lalah’s smooth, soulful presence is subtle yet still effective. “Late Night Rendezvous” is the track to help you close the deal if you’re looking for company after a night out. The disc really hits its stride in the middle. The title song is a strong track in which perfectly shows that vulnerability that I mentioned earlier. With the assist of his background singers, Carl pleads “My life was better with you in it, and I know I messed up. Now we’re finished….”. “So Much Better” is the type of track Carl is known for, and it would have probably performed well if it had been released as a single. “Oh No (You Can’t Be Serious)” has a reggae vibe. The track is extremely catchy, and you can almost see a video version in which Carl stands on a beach singing this to the woman he once was with. On “Can’t Get Over You”, Carl gets an assist from fellow artist Dave Hollister. Dave delivers a killer bridge to the track, and this song would have also made an excellent single. Another thing I love about this cd is that it has something that is very rare in music these days: nice, strong interludes. Check out the “I Miss You” interlude, presumably dedicated to Mr. Duranthony Evans (see the cd’s booklet). You definitely get your money’s worth with this cd, as it clocks in at least 18 tracks (some of which are remixes) depending on which version you have. There is also an extended version of the disc with 20 tracks. “So Much Better” is available at Amazon.com.